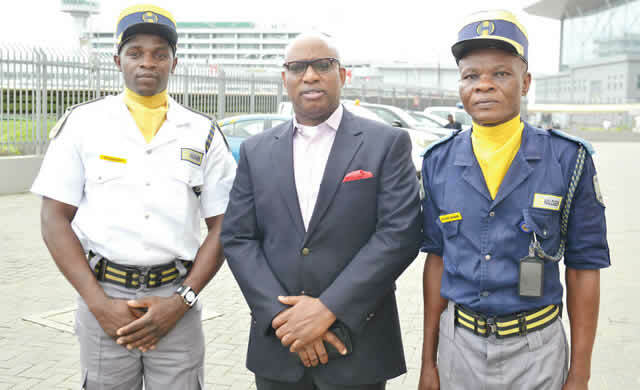 President Muhammadu Buhari has hailed two security men, Francis Emepueaku and Achi Daniel, who returned a handbag filled with valuables forgotten at the Murtala Muhammed Airport by an American returnee. The statement explained that, “a Lagos-based medical doctor, Banji Oyegbami, had met a family returning from America at the airport on August 18, 2018, and in the process of loading their luggage into the car of their host, the handbag of the returnee’s wife fell, unknown to anyone. “It was not until 90 minutes later that an officer of Halogen Security, on duty at the airport, called the couple, to come for the retrieved bag.